Directory listings of sites that provide information regarding your electrical systems that aid in troubleshooting any electrical problems. We are electricians on call 24 hours a day 7 days a week. Electrical Services Your Local Electricians. Commercial and residential electrician company in Birmingham, AL. Our services range from minor repairs to new construction installation. We offer electrical safety inspections, lighting, and much much more! Electric service in Santa Rosa. 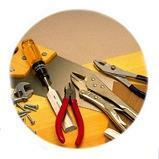 Honest, Affordable and Quality Electrical Service, Repair and Installation. For electrical appliances, gas appliances, and repairs in Shipley or Keighley, come and visit our local stores. Astra247.com for antique brass sockets, black sockets, mini pir sensor switch, pop up sockets, under cabinet sockets, LED fire rated downlights, plinth heaters & black vents. At Bates Electric we provide professional service from complete installation to repairs by a certified electrician 24 hours a day. As a state licensed business, you can rest assured that you will be receiving top quality electrical services. BT Electrics specialize in home improvements, installation of RCD safety-switches with an expert lighting designer on our team to help you make the right desicions. We also provide a 24/7 emergency callout service across Perth. TPE Services is one of the top Electrical Companies in Perth thanks to our training, accreditation & safety record. To hire an Electrician, contact us today! Electrical Testers Ltd only employ qualified electricians so we are enabled to carry out all necessary repairs to the power supply at the time of PAT testing, thereby minimising the number of items failing.